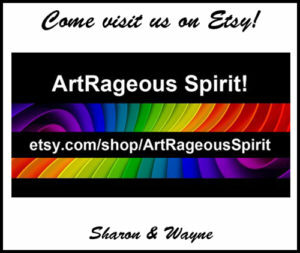 Supporting Our Local Musicians – April 1-2, 2016 | Simply Art-Rageous! On Friday night, April 1st, we visited Starr Hill Brewery in Crozet, VA to catch a bit of the show by Chamomile and Whiskey, an incredibly talented group of young musicians. On Saturday night, April 2nd, we were at Rapunzel’s in Lovingston, VA for the show by the “Blazing Saddle Tramps,” a Western Swing group. These are two very different genres of music, for sure, but with a fun common denominator: Brenning, the percussionist for Chamomile and Whiskey is the son of Mark, who’s the drummer for Blazing Saddle Tramps! But sometimes Brenning fills in for his dad! Wayne’s bass player, Brandon, has his own band called Swagger, and he also plays bass for Double Faces Gogo Band. In the meantime, Rob, the lead guitarist, plays with Peace, Love & Harmony, Swagger, and in a group called Bubba Rose. Keith Morris & The Crooked Numbers, Jason Burke, and members of the Central Virginia Blues Society.